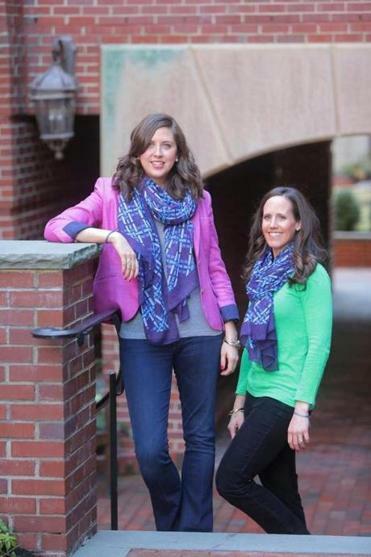 Megan Kelly (left) and Jessica Roy founded Tailored for Education, which provides school uniforms and shoes for needy children. Jessica Roy remembers her school uniform fondly. The white blouse and plaid skirt she wore to Bishop Guertin High School in Nashua was an equalizer that allowed her to skip the daily what-to-wear stress of being a kid. 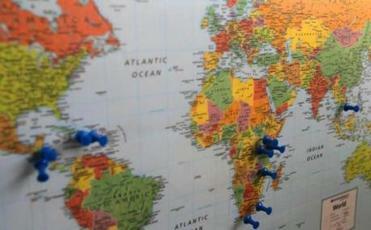 A map on Megan Kelly’s wall shows the countries where Tailored for Education has done work. The 31-year-old hadn’t thought much about uniforms until one evening when she and her co-worker, Megan Kelly, had dinner with friends who had recently returned from Tanzania. There, children must have a uniform to attend school. Many can’t afford them. Roy and Kelly were stunned. In 2011, they launched Tailored for Education, a nonprofit that provides uniforms and shoes for impoverished children around the globe. At first, they used their own money to purchase 600 uniforms for schoolchildren in Haiti. Then, the women, both of whom have business degrees from Boston College, established a more pragmatic approach. They fund 15 “giving partners,” who have already established their schools or orphanages in the distressed areas. Beneficiaries range from Partners in Health to a mom-and-pop orphanage run by a couple from Boston. 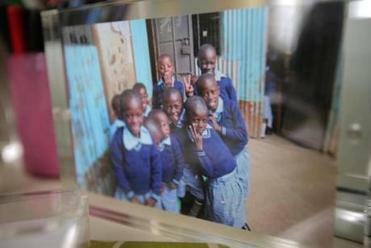 A snapshot of children helped by Tailored for Education sits on Megan Kelly’s desk. Through social media and word-of-mouth, Tailored for Education has so far raised $600,000 to support children in 11 countries including Cambodia, Rwanda, and Honduras. Last month, the organization gave out its 15,000th uniform. “We had no idea the need would be so great,” said Kelly, 30, who works full time as a trader at Boston hedge fund firm The Baupost Group while running the charity. Roy, a former trader, is now a stay-at-home mom. The women draw supporters with a manageable donation request: $23 for a single uniform and shoes. The $23 figure made the donor decision easy for Steve and Kim Boyd, early — and avid — supporters of Tailored for Education. Boyd, who works as a health care investor and lives in Boston, has bought “lots” of uniforms, and was especially impressed that Kelly and Roy have made it part of their mission to have the clothes sourced in the recipient country. “They weren’t thinking about how cheaply could they have them sourced. That’s something that’s easy to overlook. They’re also supporting the local economy,” he said. Kelly said creating manufacturing jobs for the local economies has always been a priority for the charity. In Haiti, parents of children attending L’Ecole du Village formed a sewing club to make the uniforms. In Kenya, tailors sew shirts, skirts, and shorts for students at Flying Kites, an orphanage and leadership academy in Kinangop. In Las Terrenas, a fishing village in the Dominican Republic, Tailored for Education has provided 26 uniforms to children at Los Ninos de Leonard y Meredith, a private school founded in Boston. Cofounder and executive director Philip Jordan said Kelly and Roy approached him to supply the uniforms, which was “a natural fit” with Los Ninos’ vision. “Our philosophy is to do what’s best for the kids, and taking that off our plate means we can allocate more resources for health care and education,” he said. Jordan expects children at Los Ninos to be the first in their neighborhoods to attend college, but he recognizes that the uniform isn’t just a bridge to opportunity. It’s also a boost for their self-esteem. He recalled one boy who arrived at the school wearing women’s dress shoes. Leveling the playing field is Kelly’s ultimate goal. On trips to Rwanda and Haiti, she and Roy saw children living in homes made of cardboard and wood with their uniform delicately hung from the rafters so it would stay clean. Kelly, like Roy, grew up wearing uniforms to Catholic school in Nashville, but she wasn’t a fan. “We would do anything you could to get a dressed-down day,” she recalled. Now that she’s seen the power 15,000 garments can make, she and Roy hope to double their efforts. They designed and have begun to sell a “Woven in Hope” scarf to appeal to donors who like to get something in return for their donations. The $55 scarf sells on their website alongside photos of hundreds of impeccably dressed children from around the world.